Premium multi-purpose water based adhesive, with high solid content. Use for priming and sealing porous or dusty surfaces. 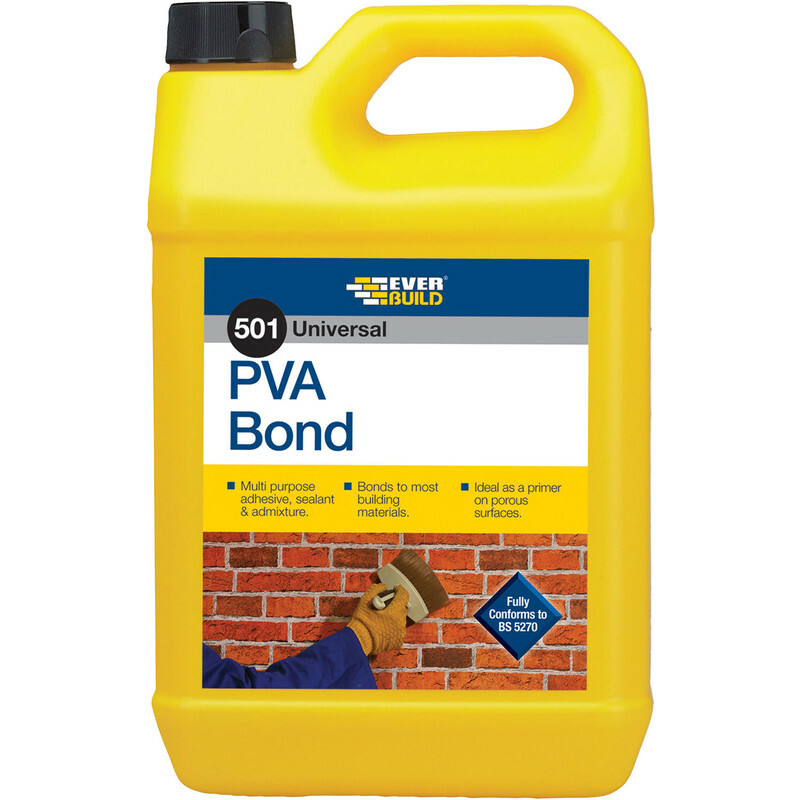 Everbuild 501 PVA Bonding Agent 5L is rated 4.3 out of 5 by 7. Rated 5 out of 5 by dont use one from great product I bought this to prime new plaster. Used as directed. Made a great & easy job. Rated 4 out of 5 by Teldial from Versatile Bonding Agent. From prepping walls to a decent wood adhesive, good performance and value.